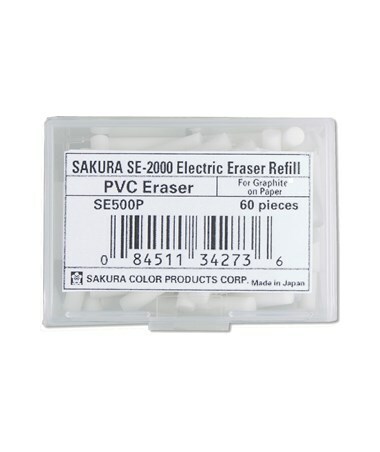 The Eraser Refill For Sakura Electric Eraser (60-Pack) is packed in a reusable, hard plastic case for convenient storage and easy transport. 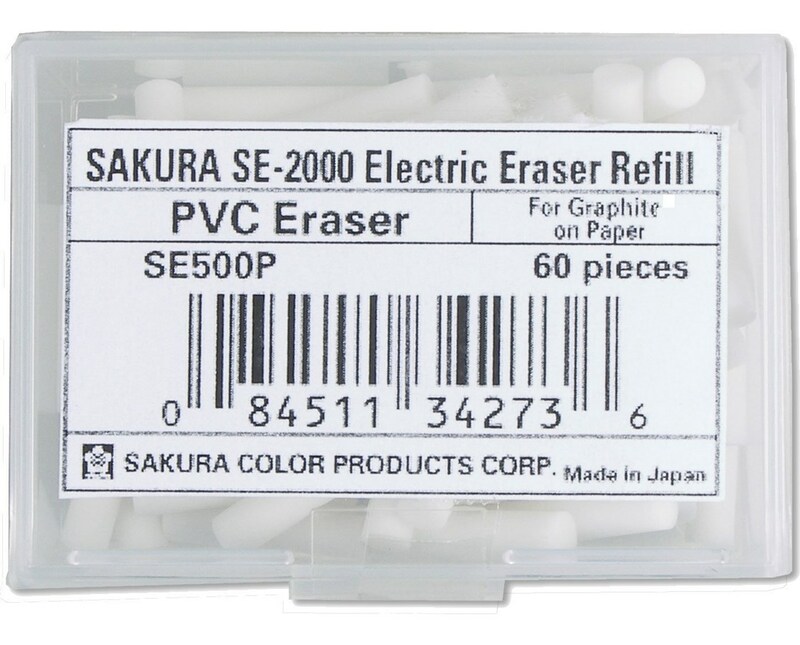 Ideal for students, crafters, artists, architects, draftsmen, and other professionals, it includes 60 pieces of white PVC eraser for removing graphite marks on paper. It is designed to refill Sakura electric erasers.